The art of Pre-Columbian Native Americans and the work of ancient cultures around the world have been a strong influence on my work. 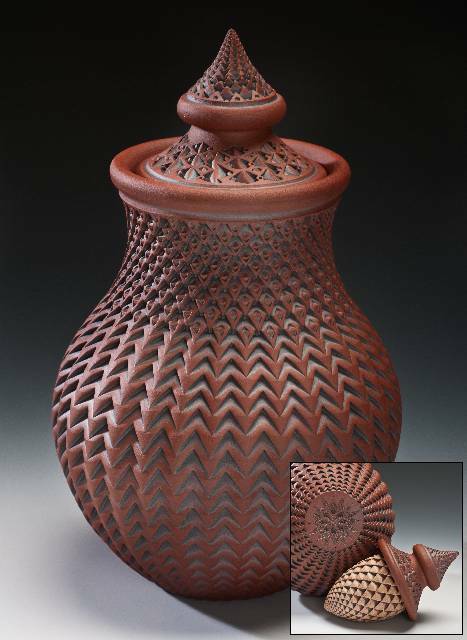 In particular, I am drawn to the qualities of primitive vessels that were created by the process of pressing a layer of clay onto the interior surface of a basket. 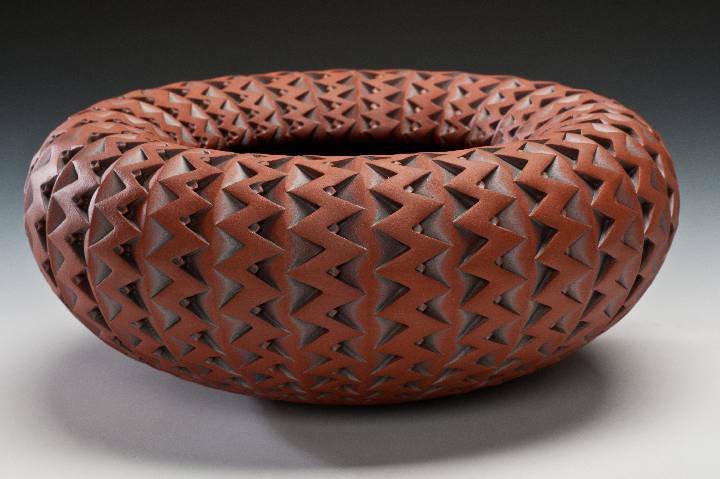 The interior pattern of the basket becomes the exterior surface of the clay vessel once fired. This ingenious method created vessels with three strong elements: form, pattern, and texture. These are the focus of my work and nature’s endless combinations of these elements is my inspiration. After I throw each vessel on the potter’s wheel and it dries leather-hard, I trim its rough edges and indent the exterior surface with a variety of handmade steel tipped tools. In a single vessel, the number of indentations can vary from 500 to 5,000 – each placed by hand and eye. Thus, no two vessels are ever the same. Each vessel is given further character by carving and incising the rim, again in the designs that reflect Pre-Columbian patterns and form. 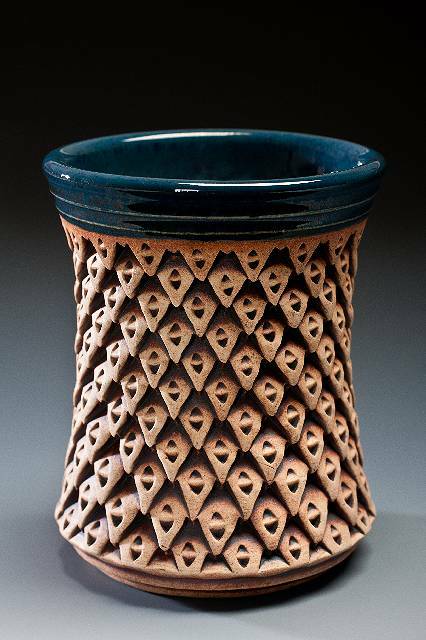 When the vessel is completely dry, it is fired to a stoneware temperature of 2,150 ° Fahrenheit. I have a home studio and gallery in Eugene, OR that is open for a visit most anytime. Just email me to set up a convenient time.